Thousands of people have already donated, but we’re still short of our $10 million goal, so every donation matters—no matter how small. Thanks to the Miller family, every dollar becomes two dollars, meaning our capacity to help is greatly increased. 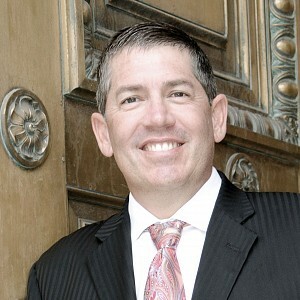 Jon Pierpont is the executive director of Utah’s Department of Workforce Services and serves in the cabinet of Governor Gary R. Herbert. Appointed in December 2012, Jon oversees a $1.5 billion budget and a department tasked with administering federal and state programs, including workforce development, public assistance programs, refugee services, housing and community development, and services for the disabled community. He currently serves on the executive board of the National Association of State Workforce Agencies and several other local boards and commissions. Jon has more than 25 years of experience with Workforce Services. Prior to serving as the executive director, he was the deputy director, eligibility services division director, and led the department’s largest service area. Jon is a graduate of the University of Utah. Shelter the Homeless is a 501(c)(3) nonprofit organization created to holding land and facilities for the benefit of individuals who are or may be experiencing homelessness; selecting and monitoring providers of services for such individuals; and fostering accountability for public safety in relation to homeless services and for the integration of homeless service facilities into the neighborhood in which they exist.